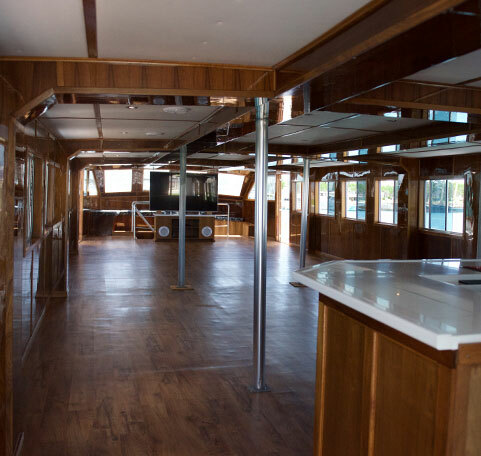 A DJ, IPod or even a live band along with a large dance floor can be arranged to spice up any occasion Our full catering options allow you to customize and transform the inside salon and outside deck into everything you’ve envisioned. Let our first-class crew members take care of your every need so you can enjoy a stress free event. From wedding, to corporate meetings and team building days, the Elizabeth can host it all. Set the standards to new levels with every occasion on the Elizabeth, surrounded by the crystal blue waters of Bermuda. Contact Us Today!